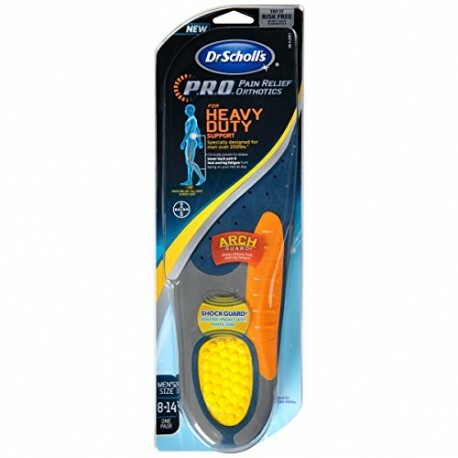 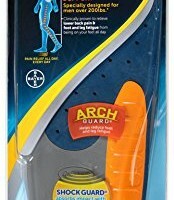 Dr. Scholl’s pain relief orthotics heavy duty support insoles are specifically designed with extra support for big and tall men over 200lbs. 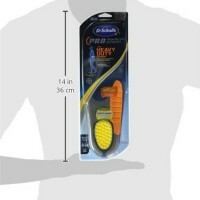 Clinically proven to relieve lower back pain from being on your feet all day and foot and leg fatigue. 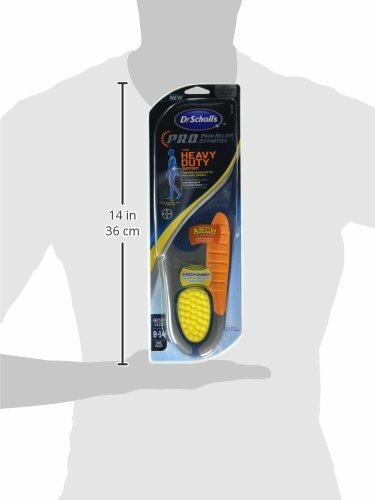 Specially designed heel that reduces shock and adjusts to provide both medial and lateral support and stability.